It has been a bourbon winter for Nicky and I, and my fear was that the bourbon may be put away with the winter clothes. My fears were relieved this week as I came across several light and refreshing bourbon recipes perfect for spring and summer. 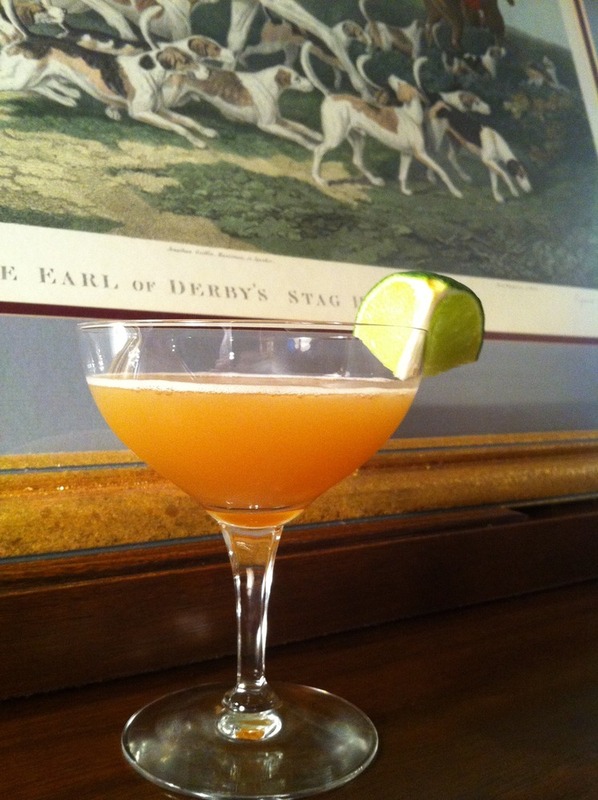 One of which is today’s selection from Ted Haigh’s “Vintage Spirits and Forgotten Cocktails” – The Derby. The drink had me when I read the first two ingredients: one part bourbon to a half-part sweet vermouth. Yay! A Manhattan! But then you throw in the orange curacao and lime juice and I was afraid we may be heading too far toward the Trader Vic region. And then I read where this particular recipe IS the Trader Vic sour style from the 1947 Bartender’s Guide by . . . Trader Vic! The lime and the orange curacao do add a nice light touch and the citrus notes really open up the bourbon. For my taste, I have to add a bit more bourbon, but the drink is still a great summer sipper. And with Derby Day not all that far away, it is nice to sip away and imagine warmer weather and a patch of blue grass! Shake with ice and strain into a cocktail glass, garnish with lime and/or mint.